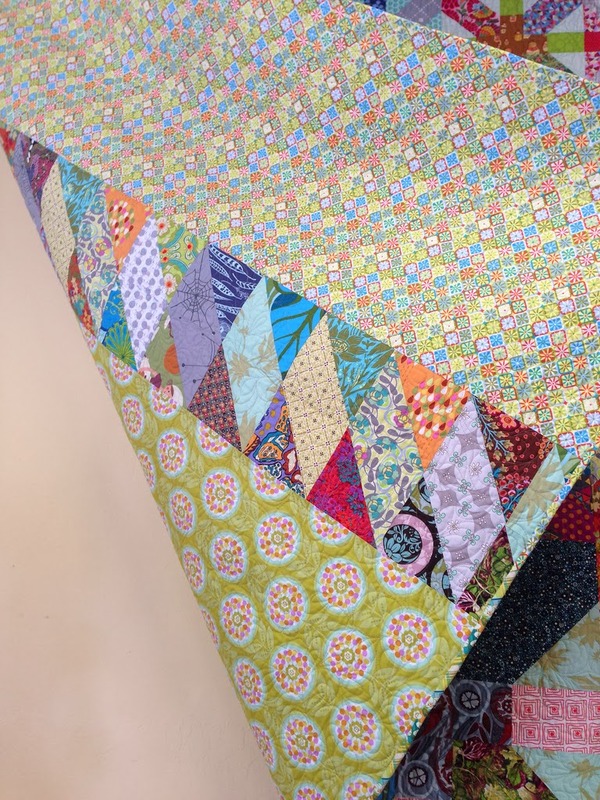 The small quilt group that I am a member of finished this charity auction quilt and I just love how the wrapped facing finish that Sharon used rather than a typical binding adds to the design. 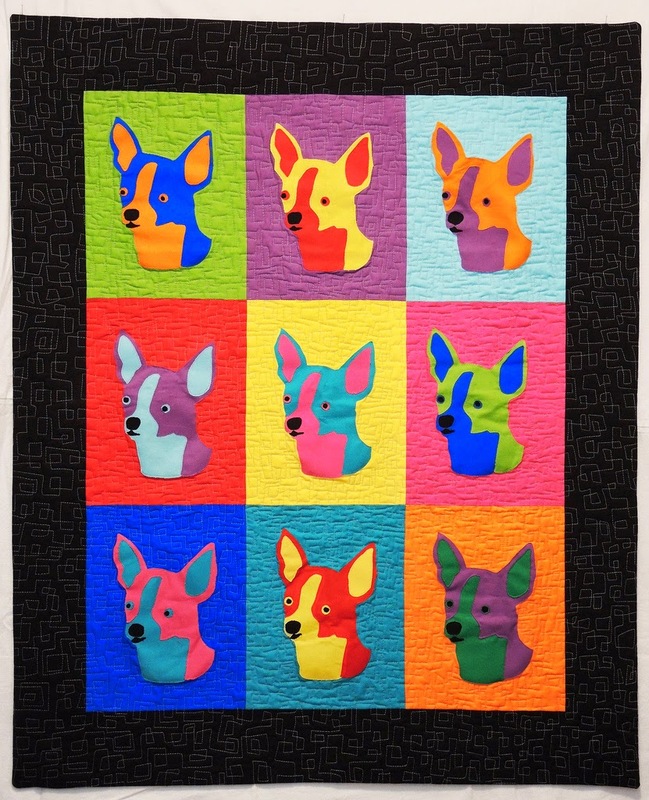 Just like on Pup Art, doing FMQ on so many colors was intimidating for me, especially the yellow and black where the contrast is intense. 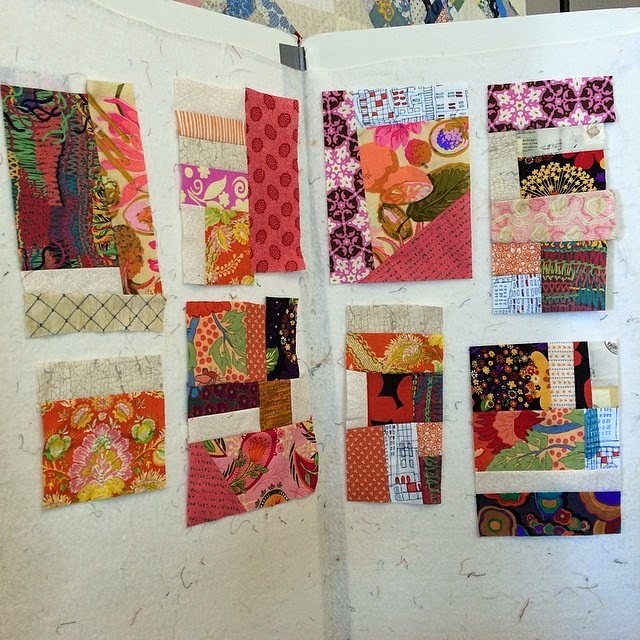 I love scraps and I'm a fan and follower of quilter/teacher Claire Witherspoon who blogs at Confessions of an Eclectic Quilter so I was thrilled to attend her Scrap Strategies workshop. Here's a picture my bits on the design wall at class. 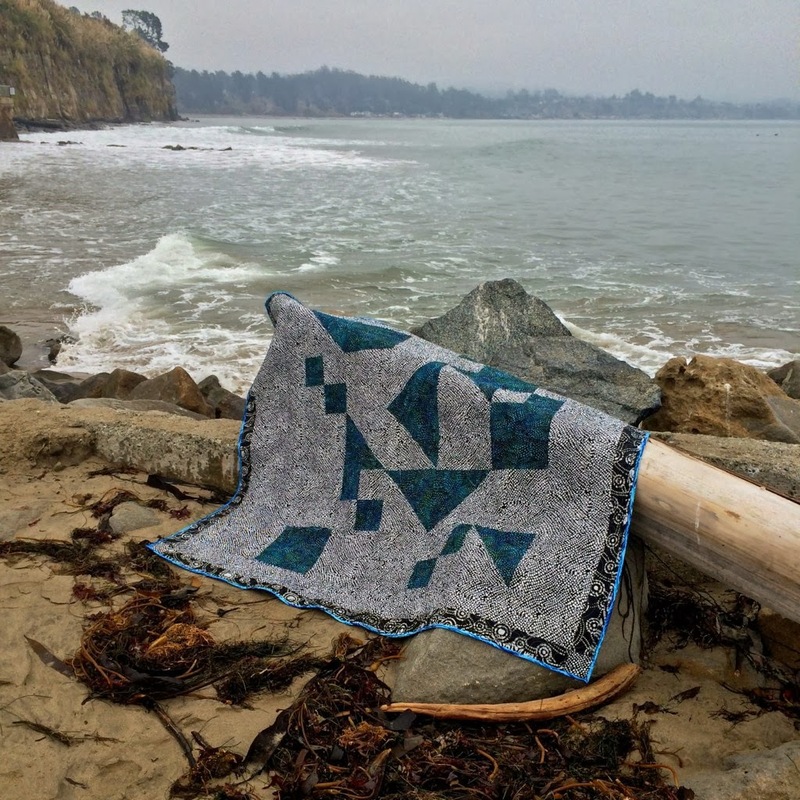 Life got in the way of my plans to listen to her speak at our local quilt guild so I soaked up what I could during her presentation and mini trunk show. Claire takes scraps to the next level saving, sorting and using strings and crumbs. The possibilities of what can be created from scraps many toss in the trash has always sucked me in and it was comforting to have someone "get it". 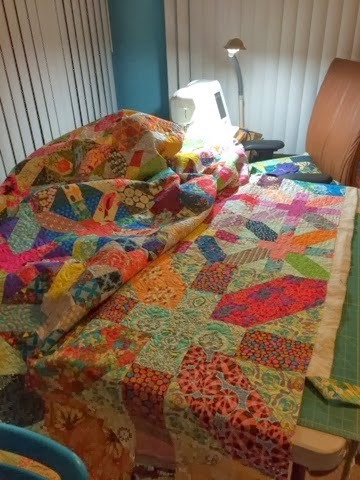 My sewing room would be overrun (even more so) if I did the same so it is only self preservation that keeps me from copying her. 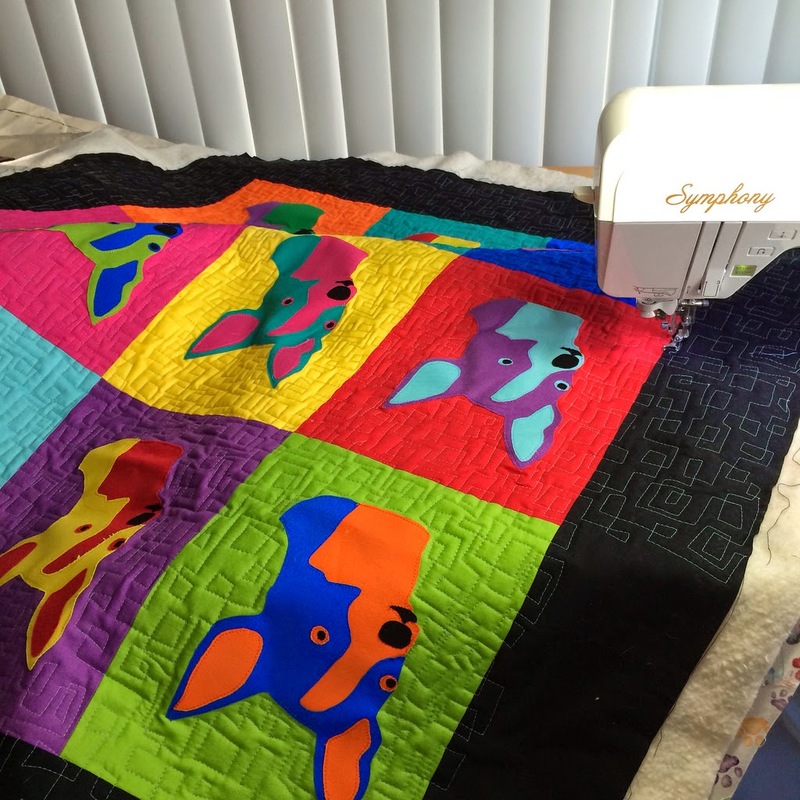 I also consider myself a contradictorist when it comes to my quilting. How about you? 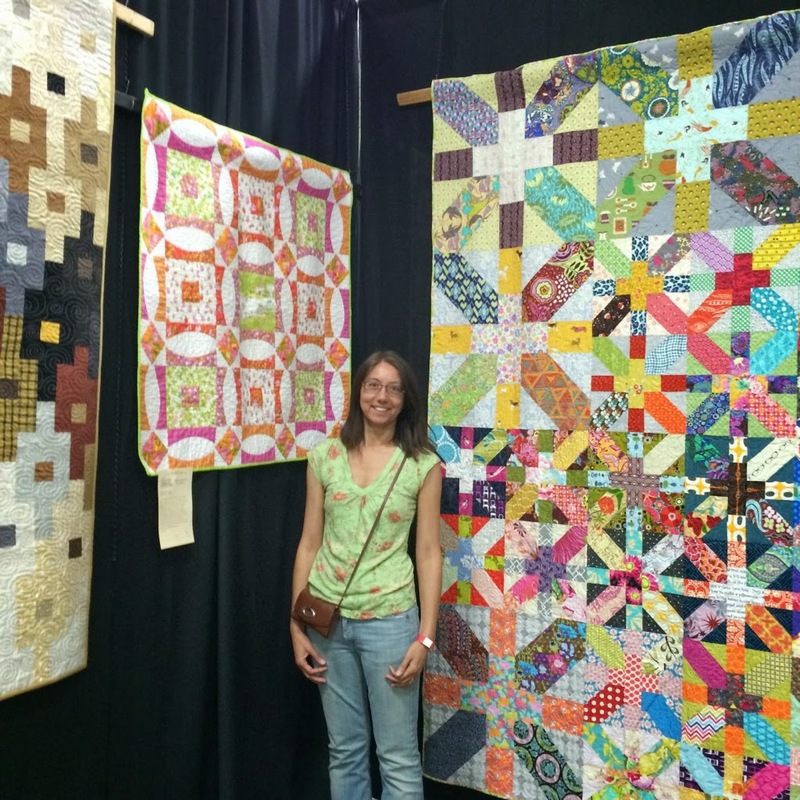 Blogger's Quilt Festival - Scrappy! Made with blocks from my lovely bees, F+F2 and MoStash, I added the jumbo 24" size blocks (tutorial here). 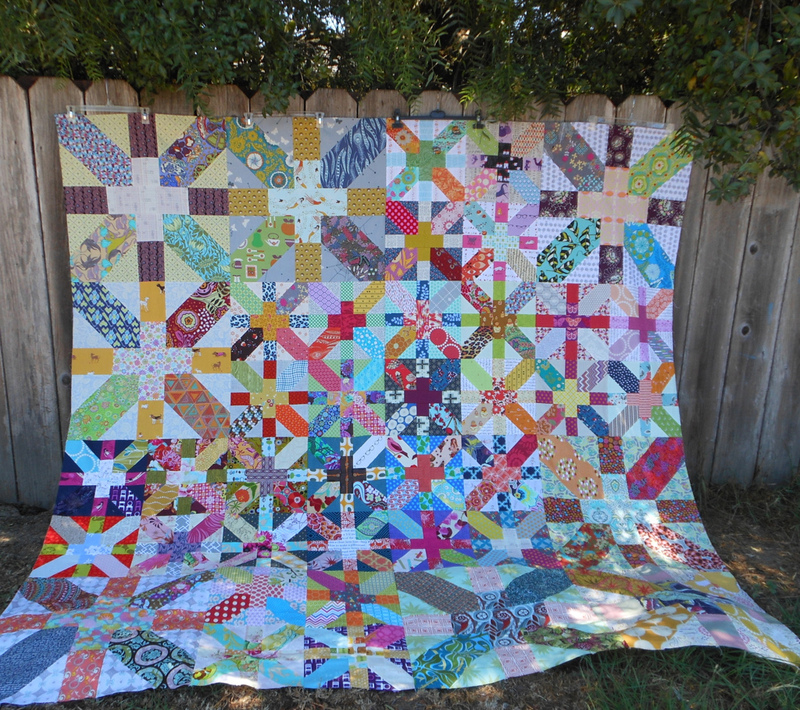 This was the flagship quilt at my very own show at our LQS in December/January and is now on MY bed - and such eye candy. I just love to look at all the scraps. 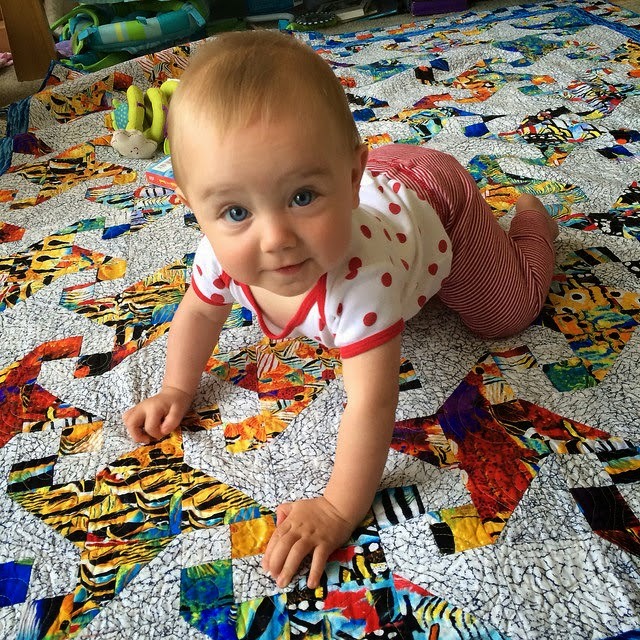 Fussy cutting and choosing what fabric would be in the jumbo blocks was especially fun. 96"x96" FMQ although challenging was quite the accomplishment on my home machine. Although it's not something I'd recommend or do again! 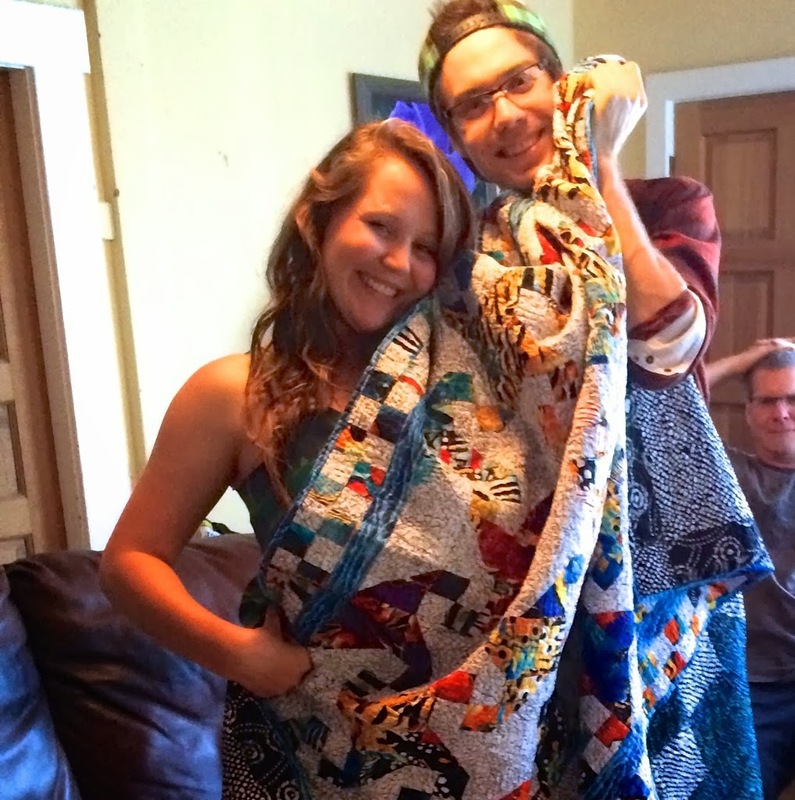 The back features my favorite fabrics used and the bonus triangles from the front tie it all together. 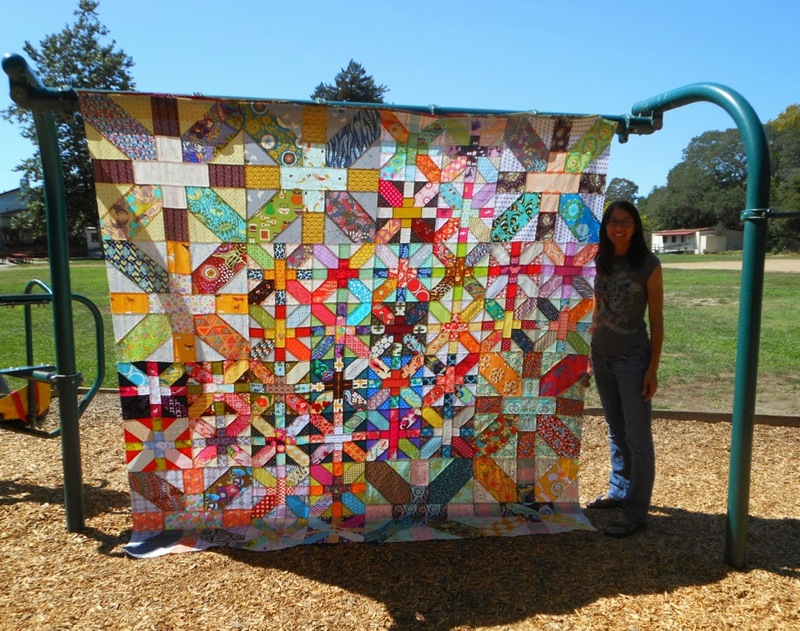 This quilt to me is the definition of scrappy so I'm linking up to Scrappy category of Blogger's Quilt Festival 2014 at Amy's Creative Side. Check it out and remember to vote for your favorite. Usually UFO's get a bad rap in my book and we dig them out, dust them off and finish them with a bit of obligatory resentment. Fortunately for Rip Tide - Rip Curl, this was far from the case. 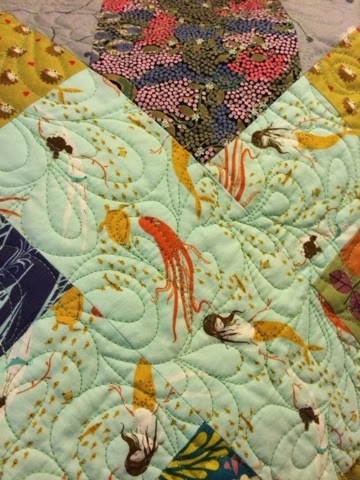 It was made using a sort of children's novelty fish theme fabric all cut up into little parts and sorted to blend across the quilt with a nice flow. Layout was super fun to do. I had set aside the rest of the wave fabric for binding to tie in the inner boarder, thank goodness because like I said, it sat for several years as a top. The back was a lot more improv and reflects my current design style. Creating it at our MQG retreat makes it especially memorable. 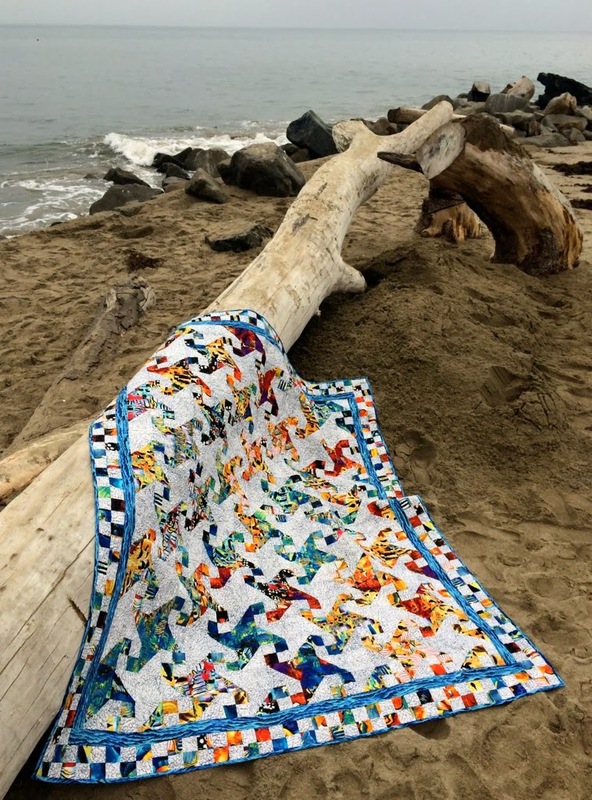 Finished up in time for a Christmas quilt for my son and his family - they obviously loved it. 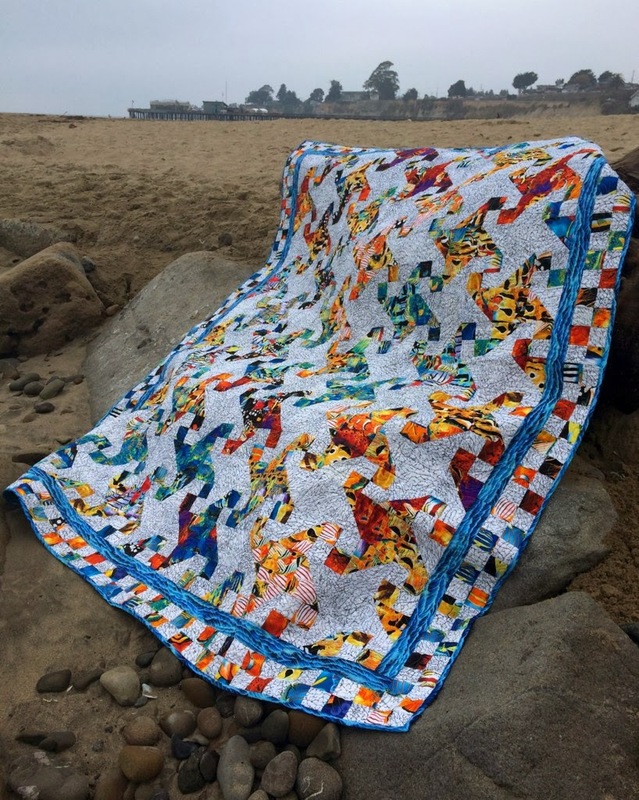 It's the most Rainbow quilt that I've made in recent history so I'm happy to link up to ROYGBIV Blogger's Quilt Festival Spring 2014. 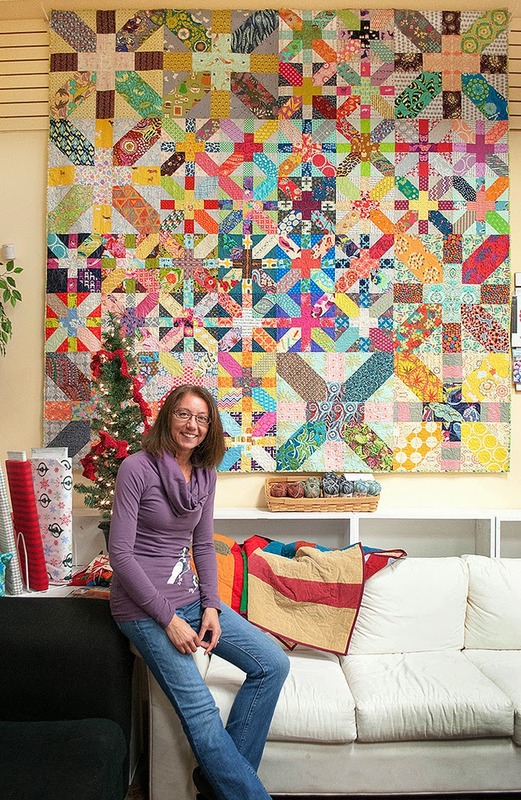 Check out all of the entries at Amy's Creative Side and don't forget to vote for your favorite.